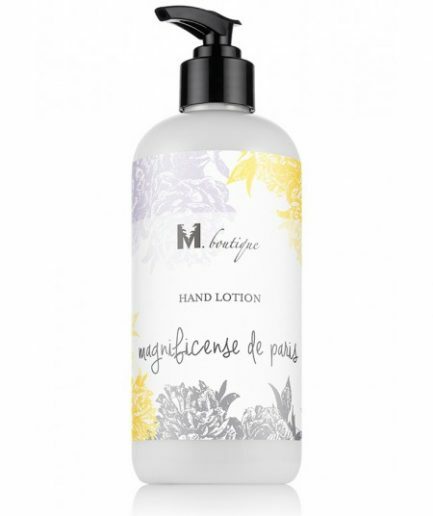 Prevent everyday wear and tear, chapped and cracked skin caused by the harsh environments we live and work in, with M.Boutique’s nourishing Hand Lotion. 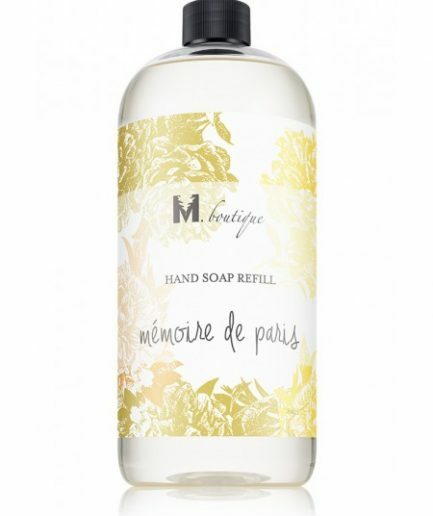 Designed to moisturize and condition, it will keep your hands feeling softer and looking smoother and younger. 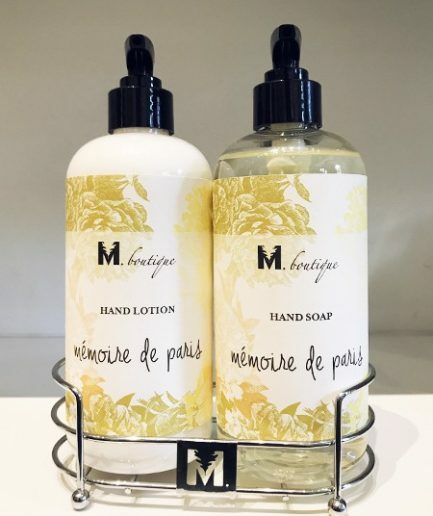 Nurtures your hands: Our unique blend of Green tea and Globulus leaf oil will kill germs, nurture and protect your skin with it’s anti-bacterial properties. 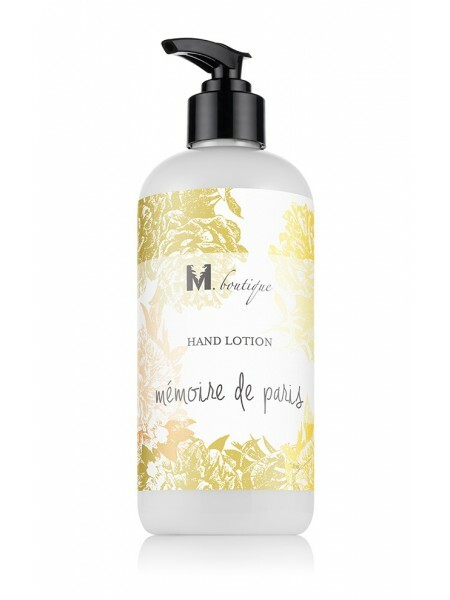 Softer skin: Shea butter and extracts of Aloe and Avocado will condition and soften your skin, cuticles and nails while enhancing the tone and texture. Result: Clean, soft, smoother, younger looking hands. 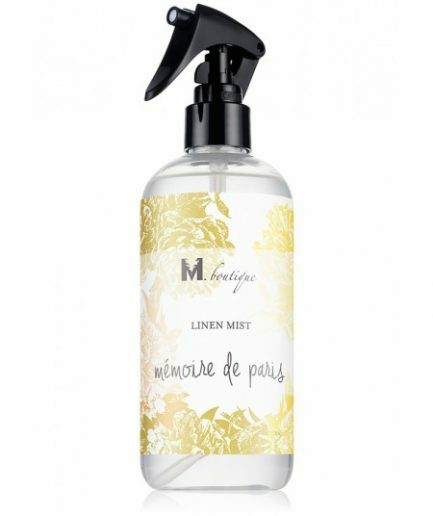 This lotion smells amazing and works beautifully. In addition to a hand lotion I rub it into my cuticles for soft hand protected from the weather.